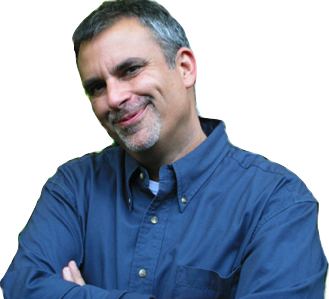 You must want to know why Pico de Gallo is referred to as the rooster's beak? It actually refers to the bite-size (beak-size) proportions of fresh tomatoes in this chunky salsa of Mexican origin. How about that! You may also be familiar with its other name, Salsa Fresca. The garden tomato bounty is here for a few more minutes, so this is an ideal week to make my pico de gallo from my own tomatoes and peppers. 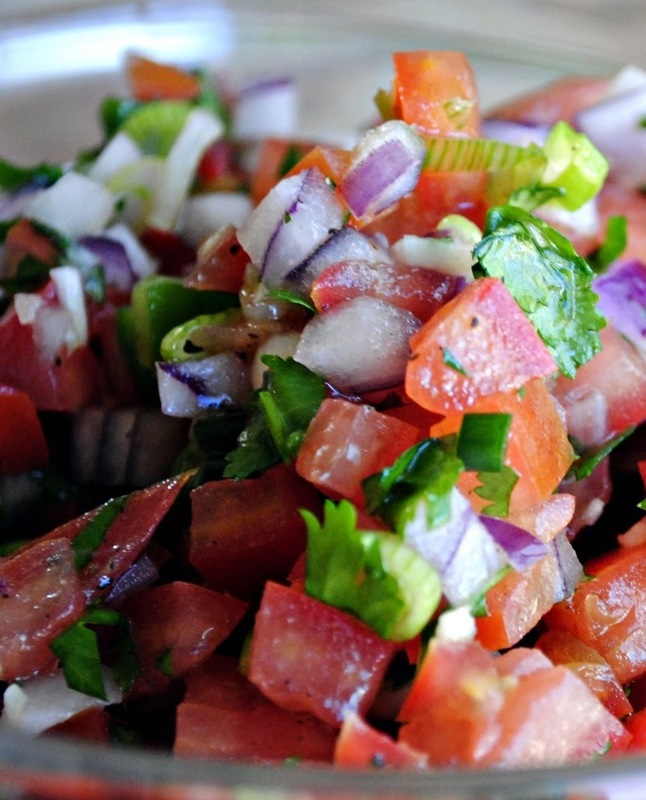 Serve Pico de Gallo with corn tortillas or my Cilantro Shrimp Nachos for más divertido! Cut all veggies into 1/4 inch size pieces. In a medium size bowl, combine all ingredients. Mix and set aside one hour to allow flavors to develop. Serve room temperature. I can’t think of anything better than this sauce for this week's Know Your Fire Friday. 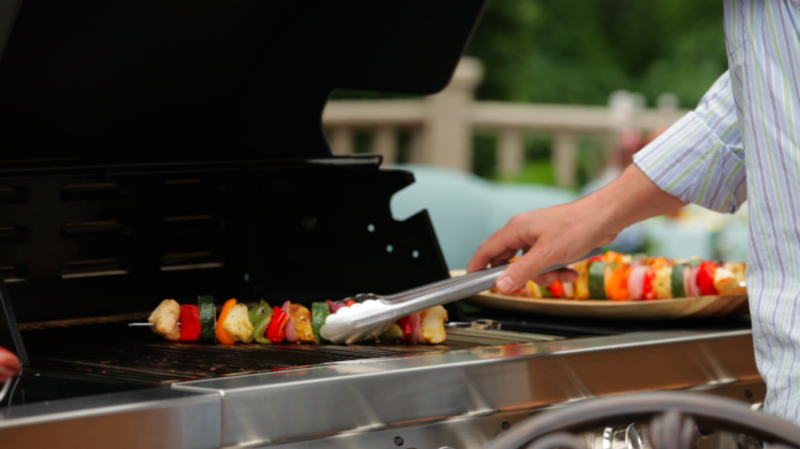 Yes you will still be lighting the grill - this is just a different kind of heat to top your grilled foods with. 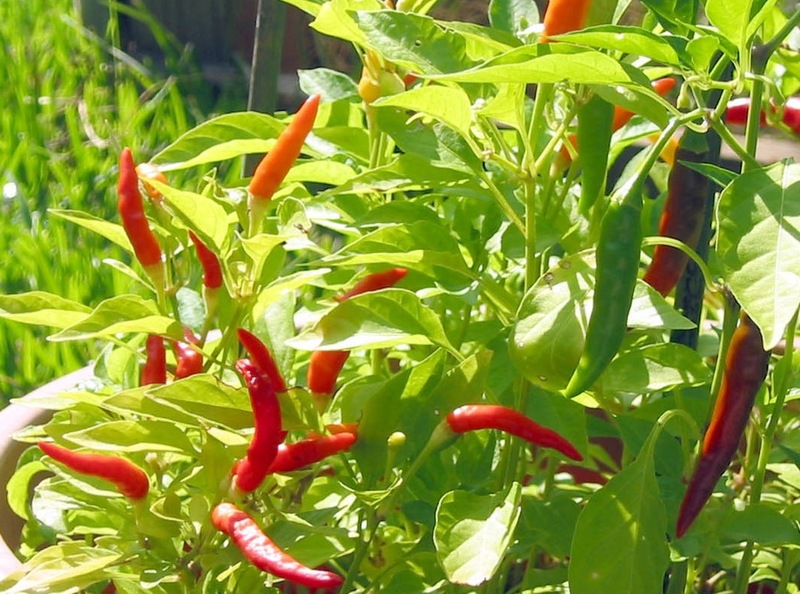 Piri-piri is a Portuguese name of Brazilian origin for the African bird's eye chili. Piri-piri sauce is made by soaking dried or fresh chili’s in lemon and vinegar to make a condiment much like the Argentine chimichurri, but only with a really fiery kick. When using fresh and very ripened red chilies - you'll know they are ready to pick when the ends of pepper point straight up. A piri-piri sauce is a robust topping when used on seafood and fried fish. But you don’t have to stop there, you can also use on beef, lamb and poultry. Also, this piri-piri sauce can be added to marinades for a little extra kick. Below is a basic version, but experiment by adding a Tablespoon of coconut, coconut milk, cream, ginger and Thai basil for a Far East style. Or, you may add ketchup, brown sugar and extra vinegar for southern flavored heat. Using a food processor, add about 4-5 (more or less depends on your fire wish) chilies that have been roughly chopped (suggestion: use gloves), 6 peeled garlic cloves, 1/4 cup mixed cilantro and flat leaf parsley, juice of 2 lemons, 1 Tablespoon white vinegar, 1 Tablespoon sugar, pinch of sea salt and puree 30 seconds or until smooth. Slowly add 1/2 cup olive oil until blended. Pour sauce into a glass or ceramic container. Use a drop or two at a time until you’ve mastered the fire. Sauce will keep for 2-3 weeks in fridge. Beach plum jelly has a taste that's virtually unknown except maybe in the Hamptons, Cape Cod and along the Atlantic Coast. The art of making beach plum jelly, or any jams for that matter, has been revived recently with more people wanting to use local fruits and have a condiment that’s a notch above mass produced jelly-in-a-jar. 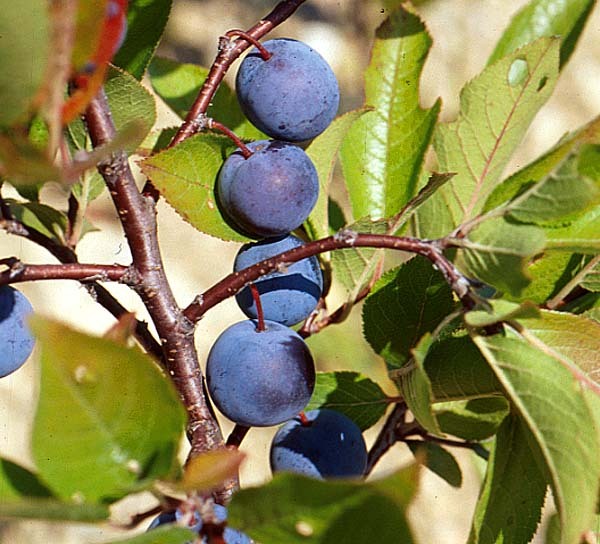 However, beach plums are kind of fickle, some years they are available and other years, like this summer they are plentiful to pick from their secret spots along the East Hampton dunes. That’s if you are still fortunate to avoid the poison ivy and ticks. A safer bet for me is to make Damson Plum Jam. Or, just reach out to my favorite monks at Trappist Preserves for a mail order jam solution. Yes, you could say they use a production method of a higher authority. But, what I really love about Trappist Preserves is they use only the best seasonal fruits and make only a certain allotment based on the highest quality, not filling sales quotas. When the Kadota Fig Preserves, or Red Currant Jelly is gone that’s it. And, yes they do make a Damson Plum Jam! Do You Know Your Jam? Canning jar instructions for any type of canning. Jam is only as good as your fruit. Taste plums and adjust tartness vs. sweetness according to the ripeness of plums. If only using all ripe plums, peel core and chop one green apple in place of unripe plums to aid in adding natural pectin. Wash plums, add the water and simmer the plums until the skins are soft. Allow to cool and remove the pits. Optional~ if you do not want plum skins, strain plums through a sieve to remove skins. I prefer the texture and do not strain. Combine plum puree, lemon juice, orange peel and sugar in a heavy gauged sauce pot. Bring slowly to a boil, stirring occasionally with a long handle spoon until sugar dissolves. Continue to stir frequently to prevent sticking or burning. Cook until the plum puree and sugar reach the jellying point of 220 degrees F. About 20-30 minutes. 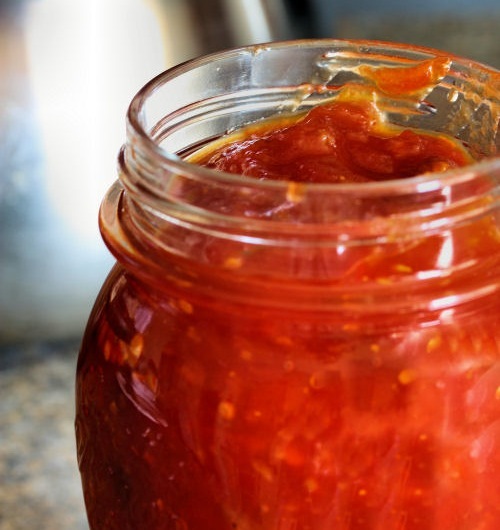 Remove from heat and pour hot jam into hot, sterile canning jars, leaving 1/4 inch headspace. Wipe rims of jars with a dampened clean paper towel; making sure the tops of the jars are clean so the lids seal. Adjust two-piece sterile metal canning lids. Place jars into a large pot with a strainer on the bottom so jars do not have direct contact with bottom of pot. Cover the filled and closed jars with an inch or so of hot water and boil for 10 minutes. Officially summer weather arrives June 21st. However, when temperatures reach north of 90 degrees, I find it's time to chill down supper food selections and prepare cold plates, just like as I ate as a child. My Mom, a delicious cook and a consummate organizer and doer, would cook first thing in the morning, before temperatures became too hot in the kitchen. It makes such sense and is still the way food is prepared in many European cultures today. Besides, having to cool things off in the kitchen, it was also the custom at home with non-meat Fridays, enjoying cold fish suppers. On those Fridays, dishes my mom would cook-up included grilled or poached fish such as tuna or cod; along with boiled potatoes, garden green beans, vine ripe tomatoes, boiled eggs, and sliced onion. The highlight for me on chilled supper night was the cold sauce made with garlic and mayonnaise. Later I learned, in my early culinary days that sauce was called an aïoli; a simple yet traditional emulsified sauce with garlic, olive oil and egg yolk. It is a perfect summertime condiment and also goes well with roasted chicken, if fish is not on the menu. With so many ways to prepare aïoli, the consistent ingredient that holds true across all ethnic regions is the garlic. The Occitan valleys of Italy serves aioli with boiled potatoes. In Cataluña and most of the Spanish mediterranean coast, allioli is purely a garlic mayonnaise. France's Le Grand Aïoli, dedicates a complete dish consisting of various boiled vegetables such as carrots, beets, cauliflower, green beans, yellow flesh potatoes, and boiled fish, such as salted cod with boiled eggs and the aioli sauce. The version from Provence adds Dijon mustard to the sauce, like I prefer; which in addition to flavor also helps in the emulsification of the oil to be suspended by the liquid of the sauce. Aïoli is ideal to serve as a sauce for foods like above, but it's also wonderful as a spread on toasted French bread or pommes frites. Some may find that the raw garlic can leave too strong a taste. That is true, especially with summer garlic which has more of a bitter bite and has just recently been harvested. No need to avoid this tasty sauce or feel you'll need a shot of mouthwash, there is a tastier solution. I use my long time recipe for caramelized garlic to soften and sweeten the punch on my aïoli in place of raw garlic. There is of course the food safety issue to point out regarding making aïoli from scratch, because of using uncooked raw egg yolks. Always make sure the eggs are very fresh, and best obtained from someone you know! One of my recipes is for using prepared mayonnaise and covers any concerns of food safety. Today, there is even mayonnaise made with olive oil, that I prefer. The choice is yours, go traditional with making a classic Provence style aïoli or make it semi-authentic with a prepared mayo; the choice is yours. Either way you'll be shouting bring on the Le Grand Aïoli! The technique of making an aïoli is to create an emulsion with the egg yolks, supporting the liquid from the olive oil. Do not over pulse or mix the yolks and oil. Do not add the oil too slow or too fast. This technique may require some trial and error. If done correctly you will have a thick mayonnaise-like sauce; or if the sauce is broken, the oil will have separated from the yolks and will look more like a vinaigrette. Always use caution with raw eggs. And this sauce must be kept chilled after it is prepared. In a food processor or preferably a mortar pound the garlic cloves with pinch of sea salt and Dijon mustard until a thick paste forms. Add in the egg yolks and begin adding in the olive oil a few drops at a time with a fork or whisk. Continue to add the olive oil in a steady stream as the aïoli begins to thicken. Stop and add a few drops of lemon juice, gradually add remaining olive oil and a few drops of water if the sauce becomes too thick. When all of the oil has been incorporated, season the aïoli with additional lemon juice, sea salt and pepper to taste. Serve chilled. The aïolii can be tightly covered and refrigerated overnight. * A classic aïoli is made with raw garlic but again I prefer using caramelized garlic in place of raw garlic which offers a much sweeter and nuttier taste. A strong flavored garlic mayonnaise from the Provence region of southern France. Traditionally the mayonnaise is made from scratch with egg yolks. I prefer this version, as it is safer and faster to make. Crostini, meaning “little toasts” in Italian, crostini are small, thin slices of toasted bread, which are usually brushed with olive oil-excellent spread with Aioli. Olive oil for brushing toasts. Puree the garlic in the bottom of a small bowl. Add mustard, mayonnaise and stir in olive oil. Add lemon juice and basil. Cover and refrigerate for at least one hour. Slice Italian bread into small pieces, toast and brush toast with olive oil. Spread a generous amount of aïoli on toasts. Serve aïoli and crostini with your favorite vegetables and seafood. I’m up to my waist in tomatoes. Today's inspiration. Opting for a quick appetizer to serve with some cool rosé. Tomato chutney is a South Indian style condiment that goes well with savory foods such as roasted pork, ham, turkey or chicken. But it is also a spicy way to top Neufchâtel (lower in fat than cream cheese) or farmers cheese served with toasted naan flat bread as a hors d’ oeuvre. Puree tomatoes, ginger and garlic in a food processor or blender. Place tomato mixture, sugar, vinegar, onions, and golden raisins in a large saucepan. Season with chili powder, paprika, curry paste, cinnamon and nutmeg. Simmer over medium heat until thick. Cool. Add cilantro. Refrigerate until ready to use; keeps about one week. Serve chilled or at room temperature. Read Guide for any type of canning.